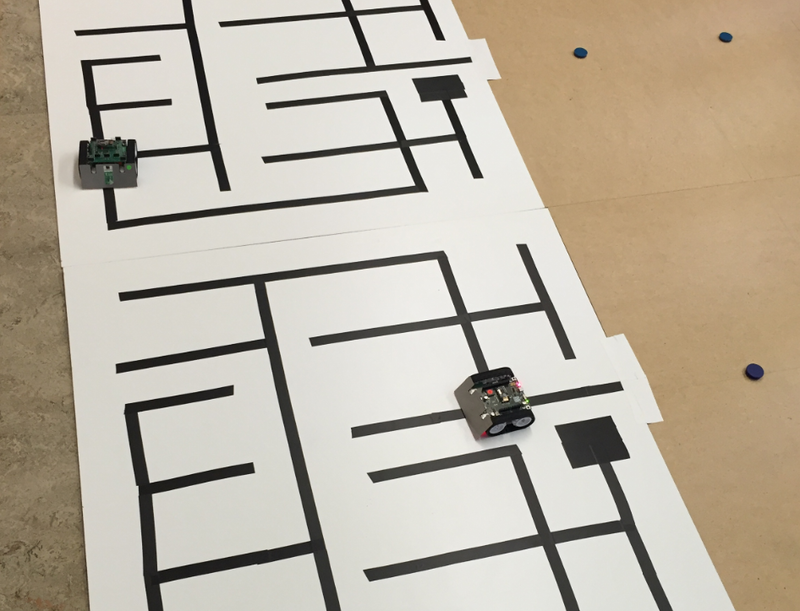 Like in Sumo battles, the robots had to play a match against each other: first to complete the manual driving part, then switch to autonomous maze exploration and solving. The robot who finish first wins the match. So it was not only necessary to fine tune and make the remote controller rock solid. It was as well necessary to make sure the maze and line following part was working with all the realtime aspects. So the sensor data acquisition and the PID closed loop controller had to be fine tuned for best performance and speed. 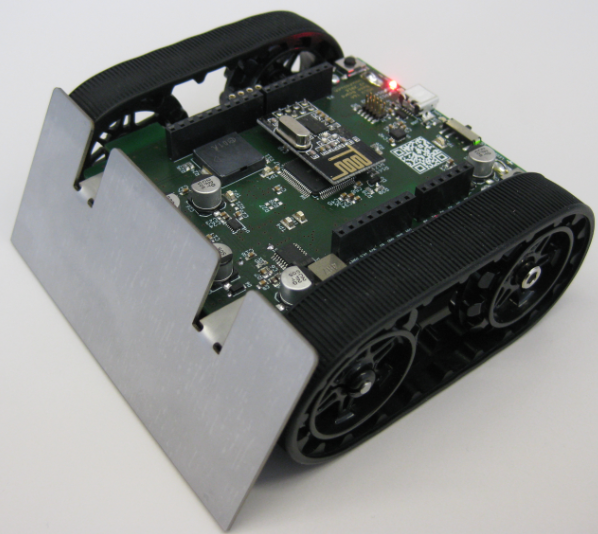 The firmware runs with FreeRTOS on a NXP Kinetis K22FX512 microcontroller (see https://mcuoneclipse.com/2016/03/25/zumo-robot-with-magnetic-encoders/). This entry was posted in ARM, CPU's, Eclipse, Embedded, FreeRTOS, Freescale, KDS, NXP, Processor Expert and tagged Eclipse, FreeRTOS, Freescale, gnu gcc, NXP, Processor Expert, software project, technology, Zumo by Erich Styger. Bookmark the permalink.